Bad Kitty’s owners are home with a big surprise for Kitty. But what is it? Kitty, reeling in horror, thinks it’s a dog. The neighbouring moggies are convinced it’s a cat. But we all know that it’s really a BABY! 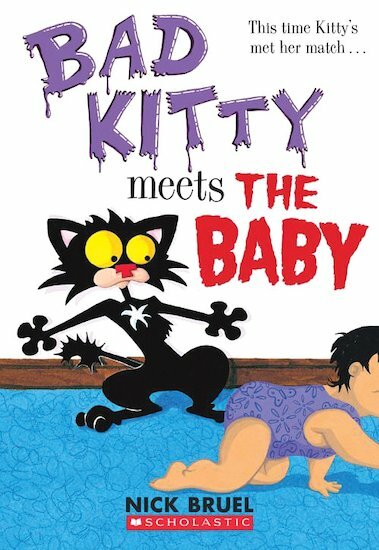 With Nick Bruel’s trademark mix of wild humour, riotous illustrations, total mayhem and Uncle Murray Fun Facts, this is the funniest Kitty book yet, and the one that hits closest to home!